“Home of C.C. Dodson, Knoxville,” Tennessee, ca. 1899, via African American Photographs Assembled for 1900 Paris Exposition collection, Library of Congress Prints and Photographs Division. Dodson was a jeweler who owned a shop on West Vine Avenue in 1899. ‘Exuberant’ is the word I would use for his family’s front yard. The photos collected by W.E.B. 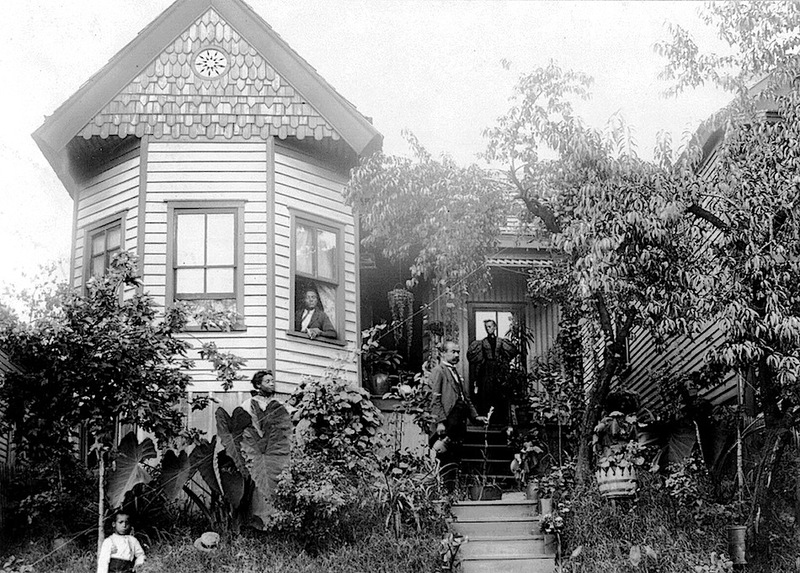 Du Bois for the 1900 Paris international exhibition particularly featured middle-class African Americans and their homes and institutions. “The photographs of affluent young African American men and women challenged the scientific ‘evidence’ and popular racist caricatures of the day that ridiculed and sought to diminish African American social and economic success,” according to the Library of Congress’s online catalogue. In 2003, the Library of Congress published a book of 150 of the images, entitled A Small Nation of People. You can listen to a good NPR interview with its co-author, historian Deborah Willis, here.